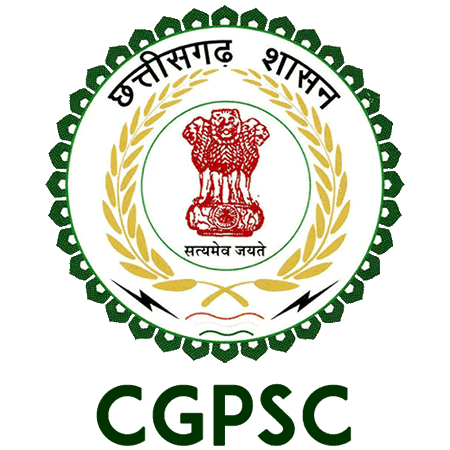 CGPSC Admit Card 2019: Below are the admit cards published by CGPSC - Chhattisgarh Public Service Commission, Raipur / www.psc.cg.gov.in. The recent Admit Card issued for the recruitment drive is Professor, Associate Professor & HOD Call Letter 2019. CGPSC State Service (Prelims) Exam Admit Card 2019: Chhattisgarh Public Service Commission, Raipur has issued the Admit Card on 07 Feb 2019 for CGPSC State Service (Prelims) Exam 2019. CGPSC State Service Mains Exam Admit Card 2018: Chhattisgarh Public Service Commission, Raipur has issued the Admit Card on 13 Jun 2018 for State Service Mains Exam 2018. CGPSC Civil Judge Admit Card/ Interview Schedule 2018: CGPSC has issued the Admit Card on 26 Mar 2018 for the exam. CGPSC Law Officer Admit Card/ Interview Schedule 2018: CGPSC has issued the Admit Card on 26 Mar 2018 for the exam. CGPSC Forest Service Admit Card 2018: CGPSC has issued the Admit Card on 15 Mar 2018 for the exam which is scheduled to be held on 25 Mar 2018. CGPSC PCS J (Civil Judge) Mains Admit Card 2018: CGPSC has issued the Admit Card on 02 Feb 2018 for the exam. CGPSC Lecturer (Mechanical) Librarian (Gramodyog) Admit Card: CGPSC has issued the Admit Card for Lecturer & Librarian Exam 2017 which is scheduled to be held on 13 Oct 2017. The examination will be held exam centres in District Durg and Raipur. CGPSC Homeopathy Medical Officer Admit Card: CGPSC has issued the Admit Card for Homeopathy Medical Officer Exam 2017 which is scheduled to be held on 13 Oct 2017.